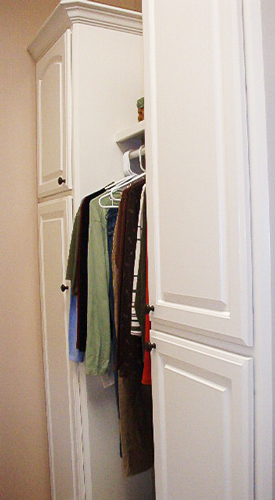 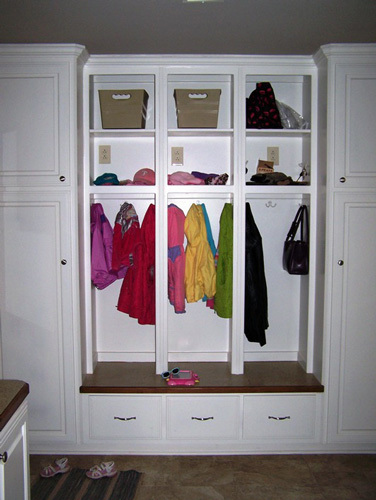 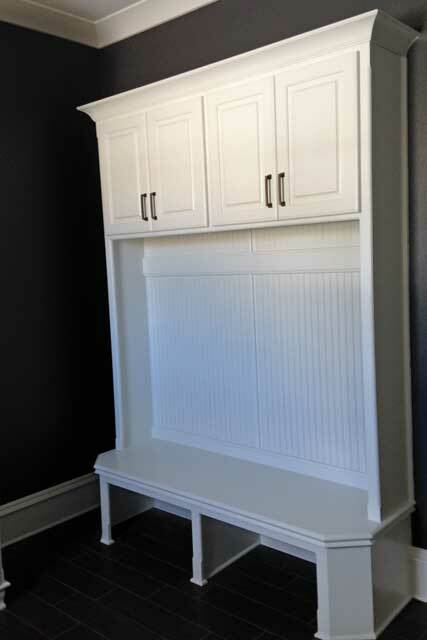 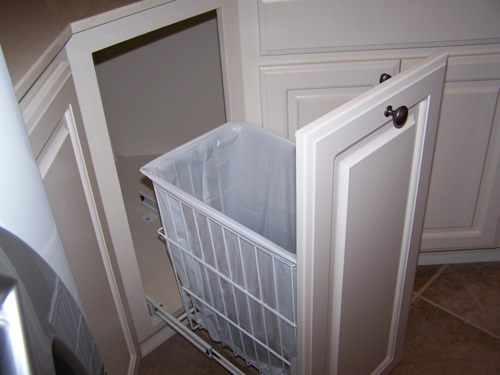 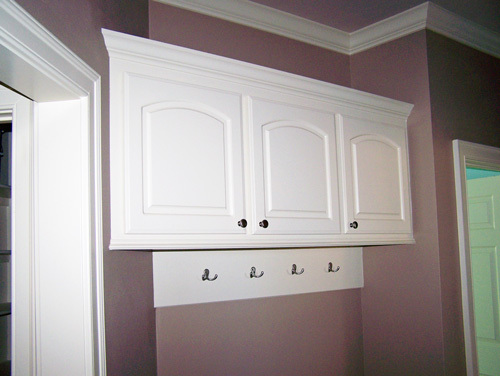 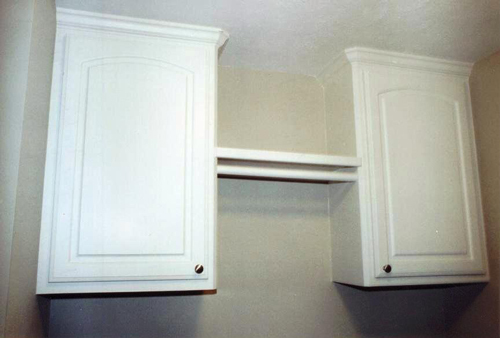 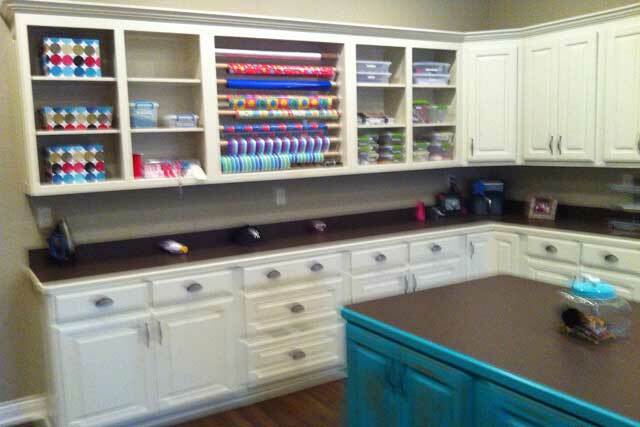 In addition to the cabinets commonly found over the washer and dryer, Prater-Built can custom-build "extras" for the laundry room, such as built-in clothes rods. 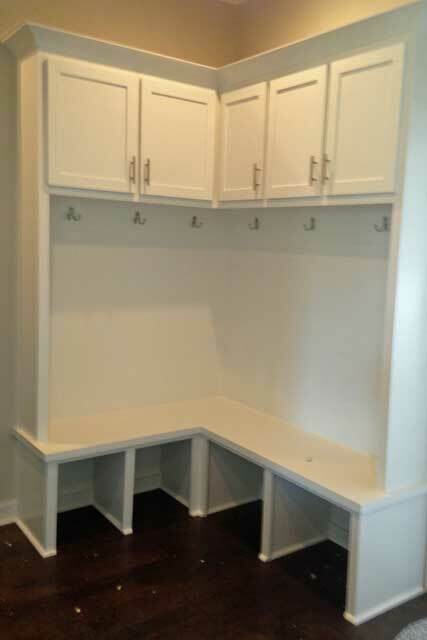 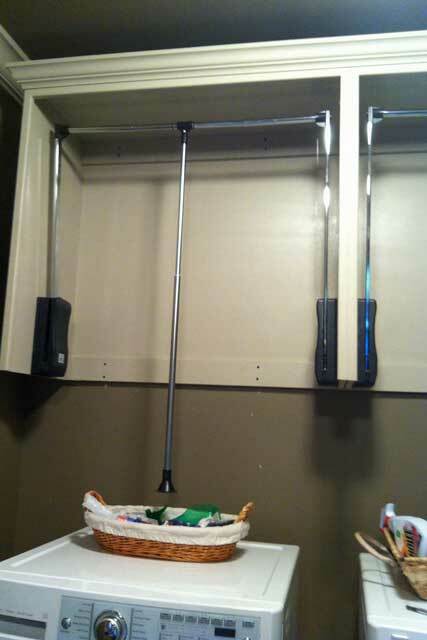 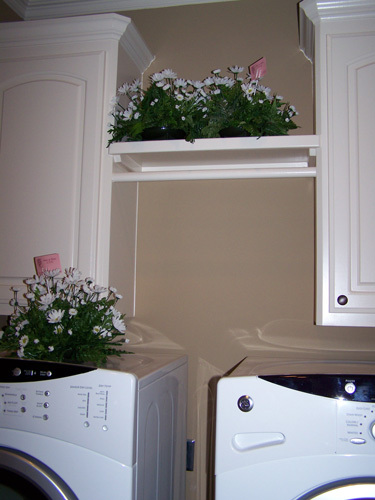 Rods over laundry room sinks provide space for hanging wet clothing to dry. 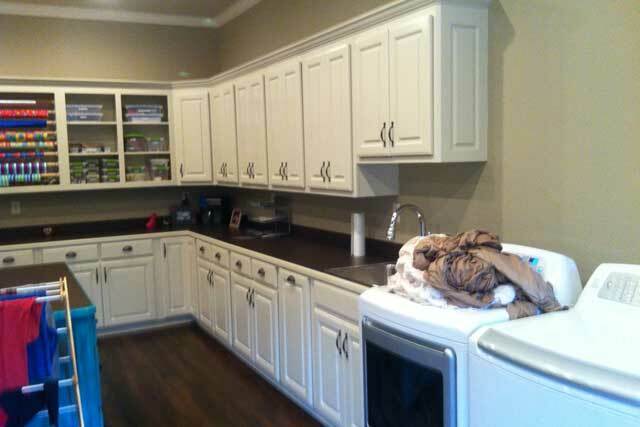 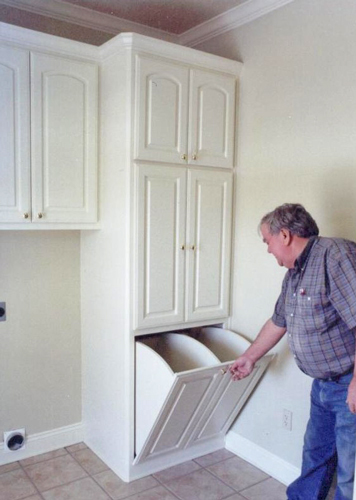 Built-in storage benches and coat cubbies, as well as pullout and tiltout hampers, are finding their way into smart home-owners' laundry/mud rooms. 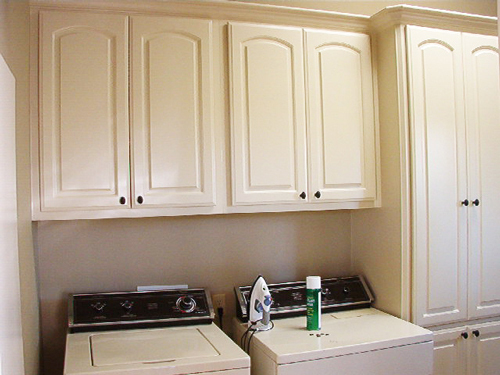 Another design specialty which can be custom-built for laundry rooms is a pull-down ironing board which can be concealed behind a cabinet door. 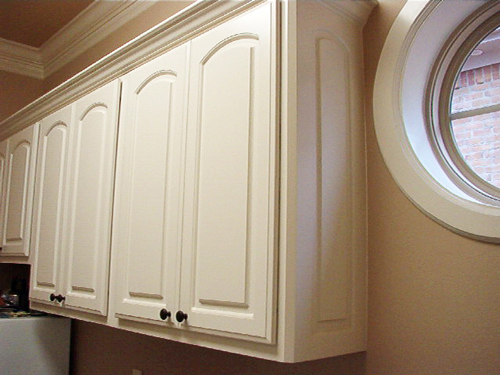 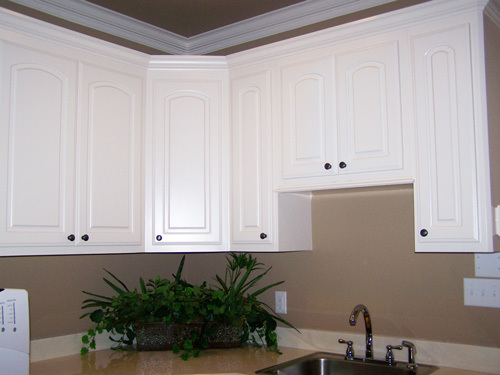 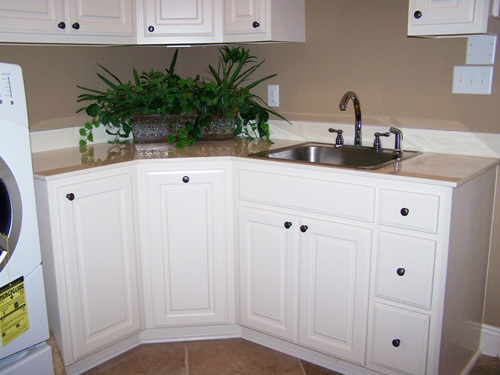 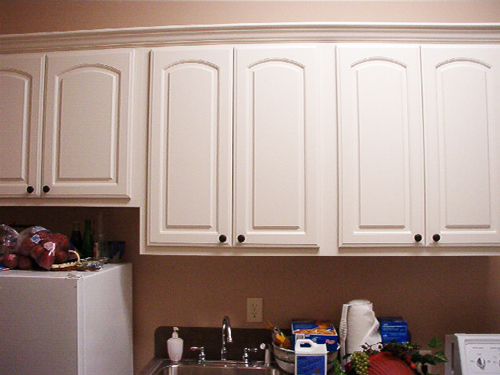 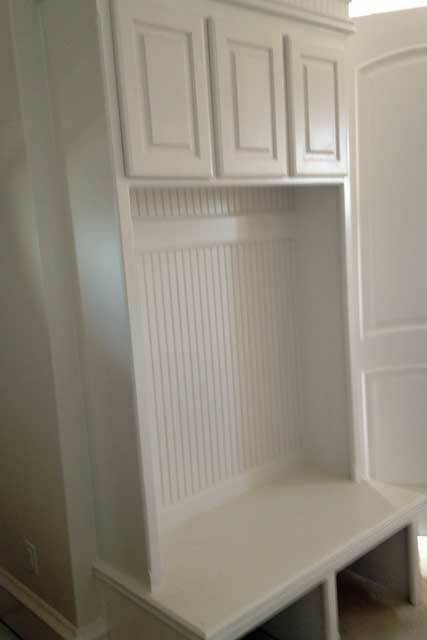 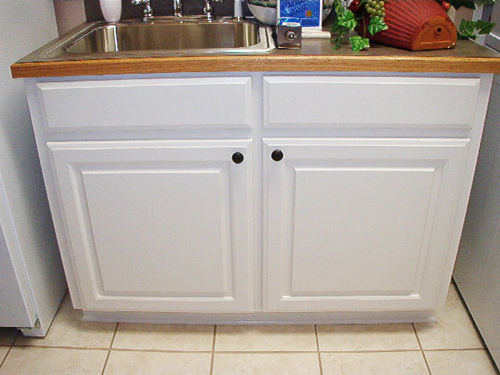 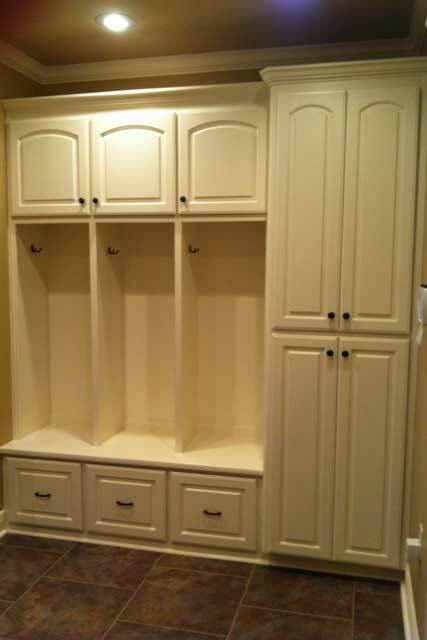 Be sure to visit additional galleries of fine cabinetry built for kitchens and baths.